Regardless of what the Associated Press thinks, you still need to clean between your teeth. 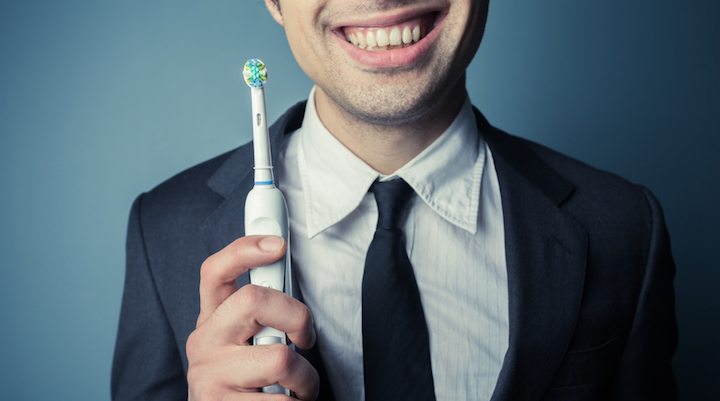 Brushing only cleans 60% of teeth surfaces. You don’t have to floss at-home. Stash your string at the office! Professionals cite “bad breath” as the least attractive trait of co-workers. Luckily, flossing removes food particles between teeth that can cause bad breath. 2. Take a brain break. Brain breaks boost productivity. Approximately every 90 minutes, your brain cycles from its highest attention to its lowest attention. And one of the best ways to reset your mind is to do an activity that’s out of the ordinary. Use your timeout for good—floss those pearly whites! 3. Get it over with. We know you’d rather listen to a crying baby than floss, so get it over with at the office. Time of day doesn’t matter, as long you floss at least once per day. For more flossing tips, check out our blog.